Successfully Added Doogee S55 Android Phone - Android 8.0 5.5inch HD Screen, IP68, Octa-Core, 64GB ROM, Dual Camera (Black) to your Shopping Cart. 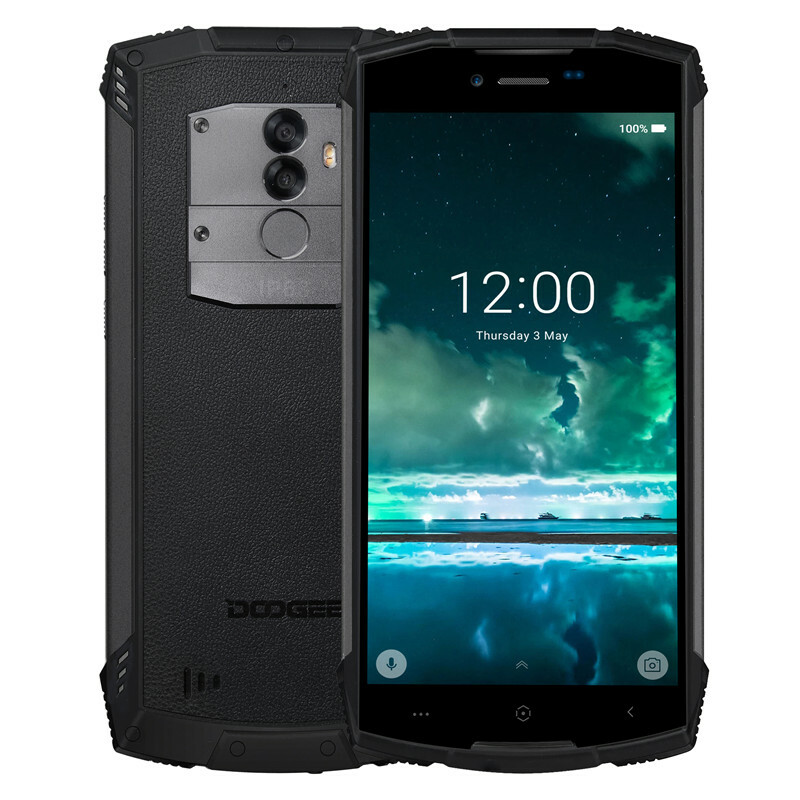 Get away from the wet or dusty areas for protecting your phone when playing outdoors, Doogee S55 brings IP68 standard to eliminate your unease with military grade configuration. The waterproof and dustproof features keep your smartphone safe and sound through. The Doogee S55 could work a long time and packs a large 5500mAh battery to keep in touch with friends. The Doogee S55 has dual rear cameras, an assistant 8.0M and a SAMSUNG 13.0MP main camera with PDAF. The clear imaging effect helps the adventurers snap magically natural scenery. In addition, a 5.0MP front-facing lens with 80-degree angle is capable of shooting brilliant pictures even though under extreme surroundings. Also, it is driven by a strong but power-efficient octa-core processor and big 4GB RAM, ensuring the rapid mission responsiveness and best multitasking status. Catching a 5.5-inch HD+ screen made of Corning Gorilla Glass 3 and featuring IPS, 292ppi with full lamination tech, it is a removable theater for providing users with immersive movie-watching experience in the open air. As an iron soldier, the Doogee S55 is rugged inside out and certainly packs an entirely rugged body. The aluminum alloy middle-frame makes it further solid, while the plastic top plus bottom protectors and leather-texture rear cover empower the resistance to fall and scratch. The adventure journey is full of dangers and uncertainties, while here S55 supporting powerful navigation tools finds a way out for you. With precise positioning, the explorers will never get lost no matter in the forest or in the desert! English, Spanish, Portuguese (Brazil), Portuguese (Portugal), Italian, German, French, Russian, Arabic, Malay, Thai, Greek, Ukrainian, Croatian, Czech, Simplified Chinese, Traditional Chinese.